The 10 inch. 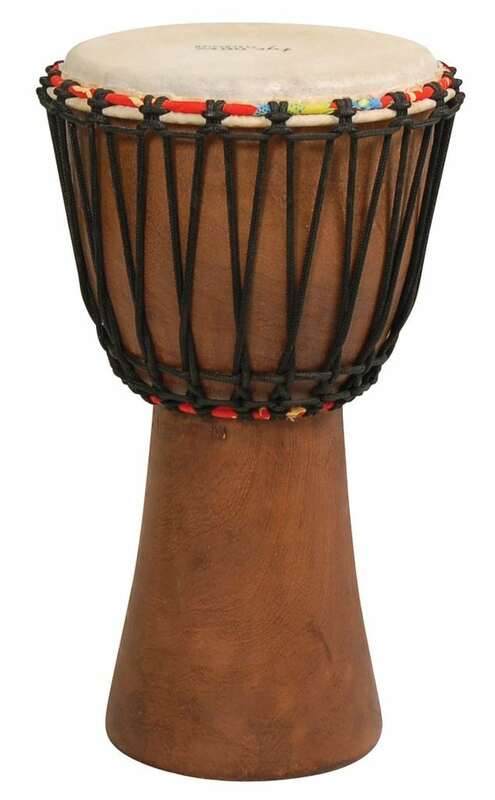 African Rope Tuned Djembe is easily portable and compliments any drum circle. Hand carved from a single piece of sun-dried Mango Wood, this drum features a high quality 10 inch. goat skin head and non-stretch rope for durable, long-lasting tuning. An excellent sounding drum at an affordable price.